In the past, I have written about the many ways to snag some great freebies, all of which you can browse via the freebies category here. From free magazines to totally free subscription boxes, I’m trying to cover them all. When you get the chance, I highly recommend you at least check them out! So, in today’s post, I wanted to talk about the many ways college students can take advantage of 100% freebies. Yes, 100% free, so put your credit cards away. As with all of my guides, I try my hardest to ensure everything you’re looking at is, indeed, free with no strings attached. This post will focus on freebies only, not any discounts like many of the other posts you will find. I may add a discount post in the near future. 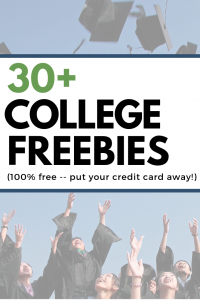 If you’re a college student and can prove it, generally via a .edu email address, then you may want to take advantage of one of the many freebies I’m about to list. There’s quite a few! NOTE: To take advantage of most of these freebies, you often need either a .edu email address and/or a valid student I.D. If you don’t have either or, then it’s next to impossible to take advantage. 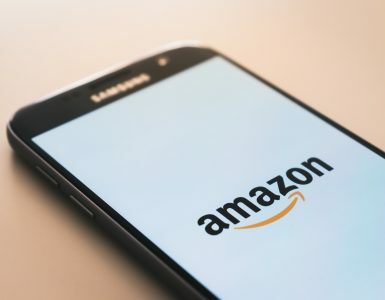 Amazon Student works no different than Amazon Prime, with the exception that it’s designed for a college student. Get free two-day shipping, free e-books, Prime video and so much more. It’s identical to the regular Prime account. Amazon Student is only free for the first six months, so be sure to take advantage while you have a .edu address! If you continue to use your account, then it’s 50% off, still a pretty good deal. 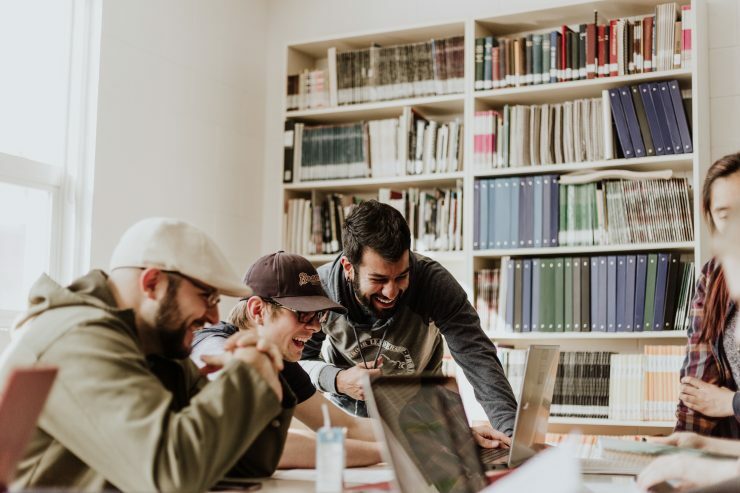 College students and teachers are both eligible for Office 365 Education, which includes Word, Excel, PowerPoint, and Microsoft Teams. This is not a trial and is the complete version, essentially yours to keep forever. To get started with your free download, all you need to do is follow this link and enter your school email address. This is probably one of the best college student freebies on the list. 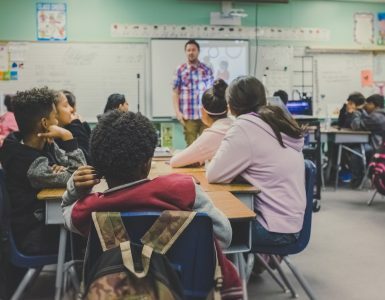 Aside from Office365, Microsoft also offers Windows 10 Education for Students, an operating system designed solely for college students. Said to have more features than Home or Pro, it’s considered to be Microsoft’s most robust version. To learn more about it and the features it offers, be sure to follow the link to learn more. Like most of the deals, you will have to prove your academic affiliation before being able to download. Pocket Points is a fantastic app that earns you a variety of fantastic freebies for simply staying off your phone while in class. Picture it as an incentive to stay focused while at school. For every minute you’re not using your phone, the app will reward you with points, in which you can then cash out for a variety of freebies from local merchants. The freebies tend to rotate, but it can range from free food to even exclusive discounts. If you feel you can stay off your phone while on campus, it’s a great way to earn rewards for doing basically nothing. This app is 100% free to download. Sadly, most checking accounts often have maintenance fees unless you meet the minimum requirements, which, let’s face it, is often out of reach for the average college student. Thankfully, as a college student, you can take advantage of a free checking account at most big-name banks with no strings attached. If you don’t see your bank on the list, it doesn’t necessarily mean they don’t offer one. I just tried to include the bigger names that most people tend to bank with. Talk with your bank to see if there’s a student checking account option because there’s a good chance there is. I talked about You Need a Budget in my Mint.com alternatives post, and if you’re unfamiliar with this tool, it’s basically a premium budgeting tool that helps you gain control of your money and help you get out of debt. To take advantage, sign up for a free trial and then email them with proof of your college status, whether it be a transcript or college I.D. Once confirmed, this premium tool is yours for one full year. This is a great option if you’re looking for a budgeting tool while in school. Autodesk, used by designers and engineers, has a free version for college students. Rather than buying the software, simply use your .edu email ID when signing up to take advantage of more than 50+ programs. To learn more about the software they offer for students and educators, be sure to follow the link below. LastPass, said to be the #1 password manager, offers a free six-month premium version to all college student students. If you are unfamiliar with the software, LastPass will save and access all of your saved passwords via a simple browser extension. Remember one password and LastPass does the rest. To qualify, you must submit your valid .edu address and confirm it. All military, federal employees and college students can receive a free subscription to the Washington Post digital version. To signup, follow the registration link below and make sure to use your .edu email address. In signing up, you’re saving $9.99 a month! Github offers a special Student Developer Pack, designed solely for college students. Looking at the pack, it includes more than 20+ programs, ranging from coding and develop tools to cloud hosting options. Refer to the link below to see what’s included. Do keep in mind a lot of the options are not free forever, but available for a year or two. You will need to verify your college student status with your ID and/or a .edu email address. A lot of colleges offer free rides on public transportation, so instead of taking an Uber or begging a friend, see if you can hop on the bus at no cost. The University of California, for instance, offers free transportation, whereas Louisiana State University offers a similar program as well. Some have restrictions, but it doesn’t hurt to check with your college to see what they have to offer. A lot of museums offer student discounts, but there are a few that offers free admission to select college students. While a lot of the museums I’m about to list only offer free admission to neighboring colleges, it’s best to read the fine print before showing up, expecting to get in for free. There’s probably a lot more than what this list has to offer, so make sure you at least ask and/or even visit the official museum website for more information. For a long time, Chick-Fil-A and even Chipotle will offer you a free drink as long as you show your valid student ID. And, of course, you need to purchase a meal to take advantage. Be sure to ask before making your purchase as this deal isn’t 100% confirmed. Did you know that many of the college career service offices will help you with your resume for free? Seeing a professional resume writer is quite expensive, often commanding $100+ or more, this is a great service to take advantage of once you graduate. Be sure to visit your career office and/or visit the career services webpage to learn more about this opportunity. Many professional organizations offer free memberships to college students who are preparing for a particular career. Most of these memberships offer a variety of perks, including access to job boards, mentoring help and even networking events. If you’re thinking of joining an organization after graduating, see if there’s a student version available right now you can take advantage of. Many colleges will offer their students free tickets to upcoming sports events. In some cases, they even bus you to the stadium as well! For example, the University of Houston offers free tickets to all regular men’s basketball games. To take advantage, check with your college’s sports department or visit the official website online to see if you find any information as all colleges vary. A quick Google search can work as well. To take advantage of free food while in college, there are a few things you can consider and you may be quite surprised at how well it could work. For starters, consider searching for college-sponsored events. Most of these events often have snacks, sometimes meals, and can be happening all the time. Search bulletin boards or even visit your college website to see if any events are happening. A lot of times, the person running the event will note if there will be food or not. Aside from college-sponsored events, consider attending and/or joining a college club. A lot of these clubs often provide refreshments and even meals during your meet. Yes, you will have to probably stick around for the meeting, but hey, why not network and eat for free? And, lastly, if you’re really strapped for cash, many of your local churches will provide hot meals throughout the week. And, no, you don’t have to be a member, either. Just remember to pay it forward if you can. Besides free food, many restaurants, both chains, and locally owned shops, often offer college student discounts, especially if there’s a campus nearby, so be sure to ask before ordering! Ditch the $10+ monthly gym membership and start attending the gym on site. As long as you’re attending a university, there’s a good chance they will have a gym on campus that all of its students can use for free. Most colleges simply ask that you’re a current student enrolled in classes to take advantage. Drop by your school’s health center as they will have plenty of condoms on hand. Take as many as you want, but just make sure you pay close attention to the expiration date. 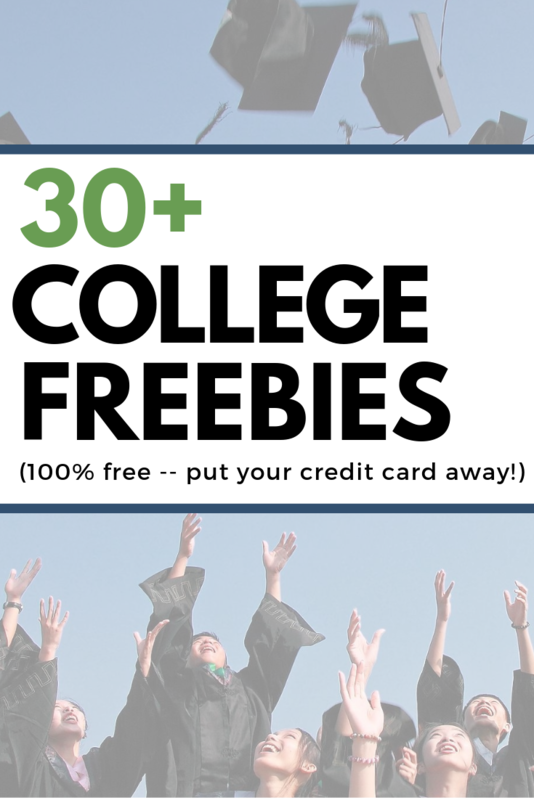 Aside from the freebies I mention here that are geared toward college students, there are hundreds of other freebies that are posted almost daily. From free food to free subscription boxes, offers are always popping up. And, while I would love to continue to update this page, I just don’t have the manpower to do so, sorry! Instead, what I recommend you do is check out my 40+ scam-free websites that post freebie offers daily. All of the websites posted on this list post plenty of freebies daily, usually available to anyone. When using these websites to explore the daily freebies, just make sure you act fast as good freebies go fast. In this post, I tried to focus only on the things you can get for free. While there are hundreds of college student discounts available, I will leave that for another post. Also, if you have a minute, be sure to check out the more than 200+ freebies you can take advantage of on your birthday. There’s a lot of great ones to keep you busy on your special day. For now, as long as you have a student I.D. and/or a college e-mail address, all of the items/services I listed above are 100% free, with no strings attached. So, be sure to take advantage while you can. If I’m missing any and/or an offer expired, be sure to let me know so I can continue to update this list.